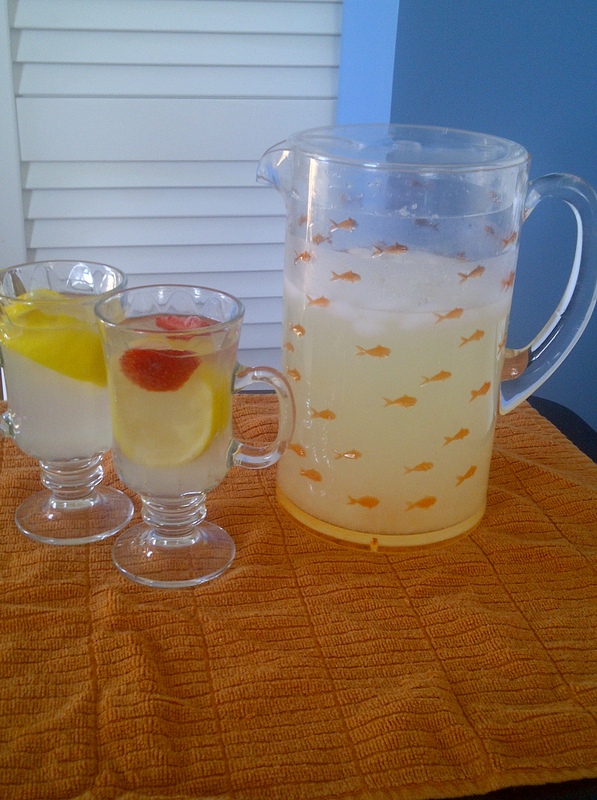 Refreshing lemonade to make at anytime of the year, but especially to cool off when the temperatures rise. 1. Make simple syrup by heating the sugar, adding a tablespoon of chopped, fresh ginger, and water in a small saucepan until the sugar is dissolved completely. 4. Serve with ice, sliced lemons. Serving Ideas: Add sliced strawberries or blueberries to the final lemonade. Posted in Yummy in the Tummy and tagged beverage, beverages, cold, cold beverages, ginger, ginger lemonade, Grandmother's recipe, homemade, homemade ginger lemonade, Lemonade, lemons, make, postaday, refreshing, refreshing beverages, summer. Bookmark the permalink. Hello there I am so excited I found your web site, I really found you by mistake, while I was looking on Askjeeve for something else, Anyhow I am here now and would just like to say thank you for a remarkable post and a all round interesting blog (I also love the theme/design), I donâ€™t have time to read it all at the moment but I have saved it and also added in your RSS feeds, so when I have time I will be back to read much more, Please do keep up the superb work. This looks like the answer to a hot summer day, like today. I bet I’ll make this often. Thanks for sharing. Made this today for our week at the lake! Sure beats the pants off those powdered pouches!